Do you need a bigger file? The file available on this site is 738 x 1024 px. To obtain an alternate file type or higher resolution copy, please contact the owning institution. 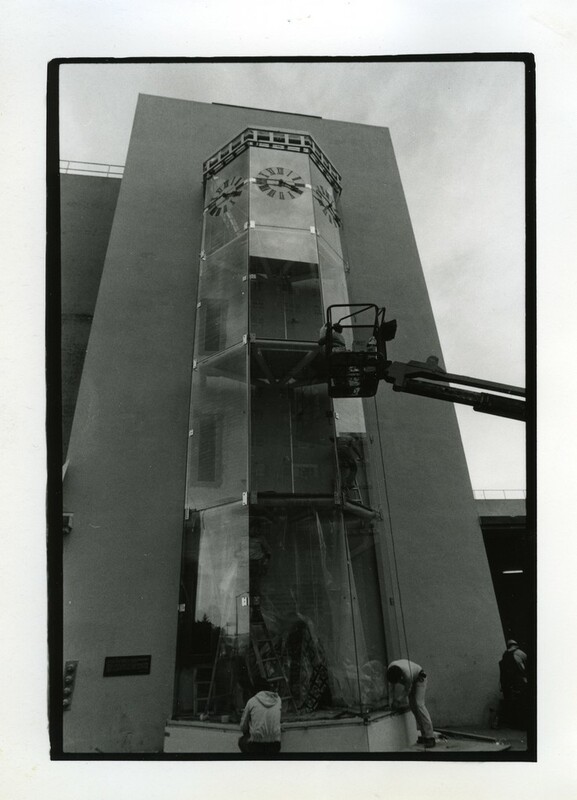 Scope/Content: Construction and installation of the Founders Clock at Millberry Union, in preparation for the first UC San Francisco Founders Day, 1982; the clock's working were restored from the original Affiliated Colleges School of Medicine building clock tower.